There is something special about arcades. They are simple games, they do not require hours of preparation and waiting to get your armies ready and they can be played instantly, whenever the player has a few spare moments he or she wants to have fun with. Of course, one of the things that are important to any game is the back story, the characters and the humor in the game, if it exists. It is quite sad to see how many games are made today without any shred of humor. Humor adds so much to a game! 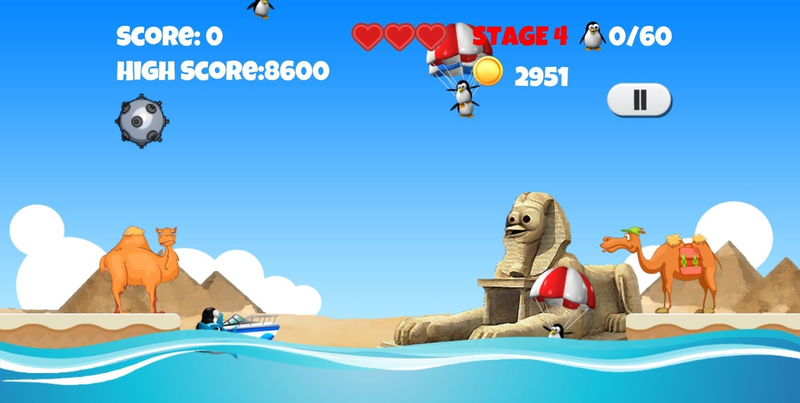 Well, we would like to introduce Super Penguins Rescue World which is a great example of an arcade game, if you'll ignore its overly long and complicated name ... Anyway, the game's premise is quite simple. 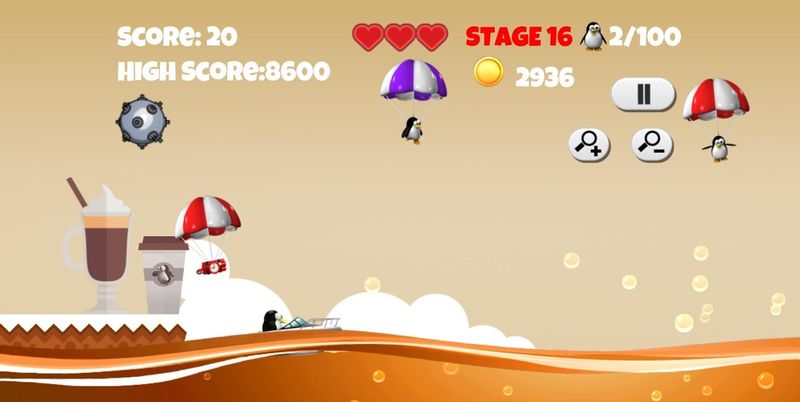 Penguins are raining down (literally!) from the sky and the player who controls the king penguin with his power boat must rescue them before the shark (called Steven?!?) eats them whole. Why do why like it? 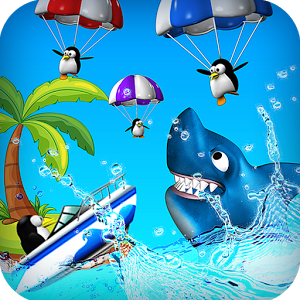 First of all, the humor in the game, from the camels and the zombies in the background to the smirking shark to the expressions on the penguins' faces when they fall from the sky. In addition, the game has simple controls (just move the boat right and left and leave a mine) AND it is almost totally violence free. 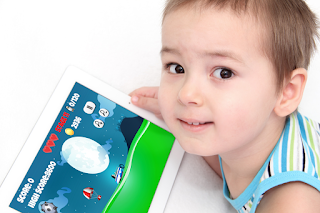 This means that the game is also suitable to kids and might be quite fun for them AND beneficial. To play the game the player must have more than quick fingers. 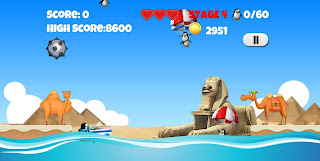 The player must also think and plan ahead, and decide where the boat should be when the penguins fall in advance. 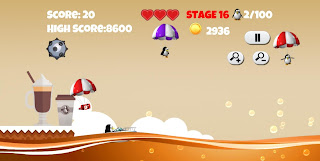 So, a funny game with great graphics, no violence, required thinking and quick fingers, simple to operate and does not require waiting times for your forces to build up like other games require .... We think Super Penguins Rescue World is one of the best examples of arcade games we had the pleasure of reviewing here on Android Review Center, and don't forget the added bonus that the kids can play it and actually learn and improve some skills.